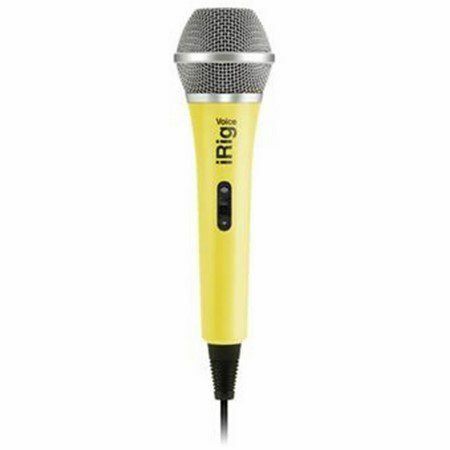 The yellow iRig Voice iOS/Android Handheld Vocal Microphone from IK Multimedia is a vocal microphone designed for use with iOS and Android devices. The yellow iRig Voice iOS/Android Handheld Vocal Microphone from IK Multimedia is a vocal microphone designed for use with iOS and Android devices. 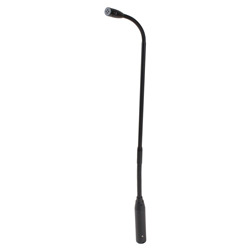 It connects to your device's input and has an integrated headphone jack to allow you to monitor both the microphone and playback. 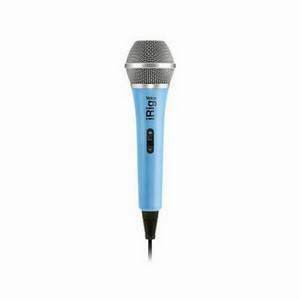 iRig Voice is compatible with most music apps, and works with IK Multimedia's EZ VOICE app, which allows you to remove vocals from existing tracks for singing along. The app also provides recording, reverb, chorus, and pitch correction functions.